I don't want to be the one to take anything away from the PS4 launch and all the fun people are having, but if you want some reading....have a look over at Amazon.com for the PS4 reviews. There seems to be a LARGE amount of D.O.A. units. 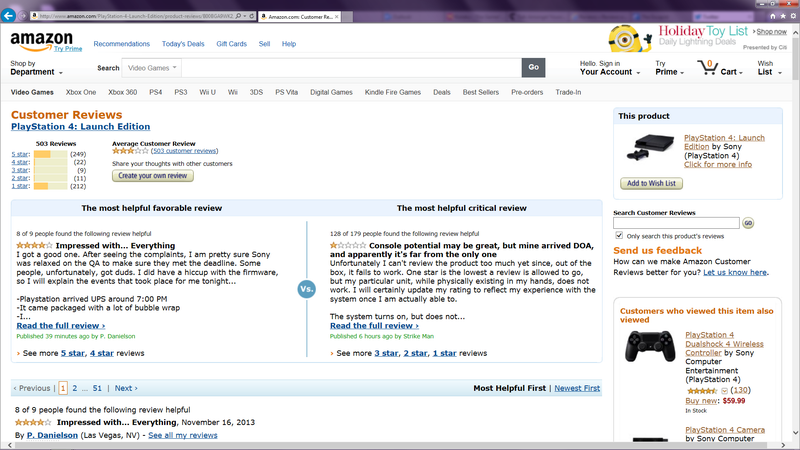 Hopefully this isn't a big issue, but the reading on Amazon is rather grim in the 1-star reviews.